I love the slower pace of commuting to work by bicycle. There are so many things that just pass me by when I am whizzing down the freeway. This morning, while waiting at a stop light, I met a guy that runs 10 miles to work each day. We had a fun little chat comparing routes while we waited for the light to change. 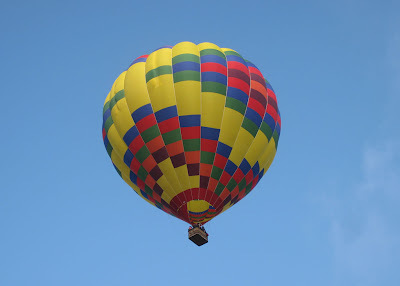 On my way home this evening I saw people pile into the basket of this hot air balloon and take off!